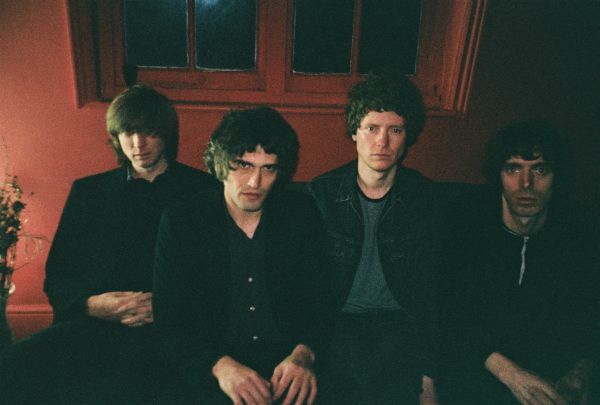 London psych-/jangle pop group The Proper Ornaments are readying for the imminent release of their third studio album, Six Lenins, on April 5th via Tapete Records. The LP sees the band master their seemingly effortless, yet finely-wrought sound as their songwriting prowess refuses to plateau. Fresh off a U.S. tour in the fall of last year, The Proper Ornaments leader James Hoare (also of Ultimate Painting and Veronica Falls) and Max Claps (Toy) went into James’ home studio in Finsbury Park, London and made their finest recordings to date on a newly-installed 16 track Studer machine. They were joined by Danny Nellis (Charles Howl) on bass and Bobby Syme (Wesley Gonzalez) on drums. Having escaped deep, twisting tunnels of illness, divorce, and drug abuse to release their second record in January 2017, it’s not at all surprising that they sound sunnier this time around. Their super-melodic work suggests a nonchalance or naivety, but is in fact an expensively bought slice of coherence and clarity within a constantly shifting backdrop to their lives and landscapes. The speed with which Six Lenins was made shows that the two songwriters managed to keep a keen focus on what they wanted to achieve, further finessing the balance of conflict and collaboration that lends their sweet, succinct tunes their nervous energy. Well-crafted songwriting and a controlled sound despite a zealous analog sensibility. James Hoare reveals that “Apologies”, “…was written in the back of a car when we were on tour a couple of years ago. I had an acoustic guitar, a tambourine and used the Garageband iPhone app. It came out pretty much exactly as the album recording. It’s about an argument between Max and myself that was resolved quickly, but it did produce this quite nice song so sometimes these things need to happen. We called it “Oasis” when it was in the working stage of the record as we thought it sounded like the kind of song Noel would be into. And Liam.” It’s likely the Gallagher brothers would agree!